Gibney Onboarding Services is a web-based system for Department of Homeland Security (DHS) Employment Eligibility Verification Form I-9 completion. Solution: Developed an ASP.NET web application that enables employers and employees to complete I-9 forms with electronic signatures. Supports connectivity to E-Verify web services in order to determine employment eligibility. Tracks deadlines for Form I-9 completion and provides alerts. 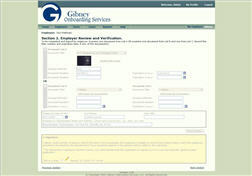 Provides 180, 90, 60 and 30-day alerts for time-limited work authorization documents. Permits employers to generate customized reports which can be exported to Microsoft Excel. WoundTrakker v3 is an enterprise solution specifically designed for wound care clinicians. 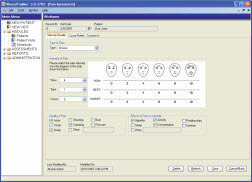 Solution: Developed a .NET Windows Forms desktop application that allows users to record and track information not only specific to wound sites, but also in other subject areas which affect wound care such as nutrition, vascular, and pain. Assists clinicians in tracking outcomes, treatments, supplies, patients, and wound sites. It offers complete networkability and limitless customized reporting capabilities via user defined queries. 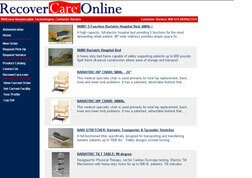 RecoverCareOnline specializes in bariatric, wound, and specialty products for the hospital industry. Solution: Developed a secure web ordering system allowing hospital staff to rent equipment. 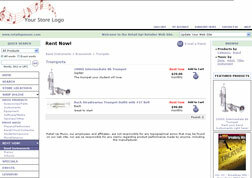 The solution provides a catalog of products for selection, online order forms, and e-mail notification for fulfillment. Hospital administrators and RecoverCare personnel can monitor orders and service and pick up requests. 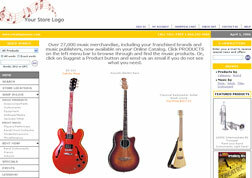 Retail Up Music provides website services to retailers in the US, Canada, Asia, and Europe. Solution: Developed a site which allows individual retailers to customize the layout and content of their own web site. It includes extensive forms-based retailer admin pages, the ability for a retailer to add products and upload images, a product search, e-mail capabilities, as well as four levels of user access/login. The site is backed by a database that includes over 150,000 products, customer records, and transaction statistics. Solution: Developed a module that gives music stores the ability to rent instruments. Retail Up Music Web Service provides clients program-to-program communication for managing their customer orders. 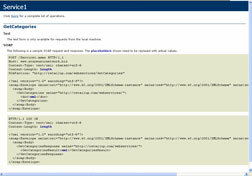 Solution: Completed a .NET web service that gives music stores the ability to download orders. The XML formatted data allows for easy input into a store's POS system. 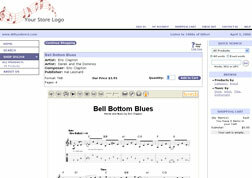 Retail Up Music Print Music Direct gives customers immediate access to thousands of sheet music titles. Solution: Developed an XML application using .NET and C# that communicates with Hal Leonard to instantly deliver digital sheet music. Musicians can listen, play, and transpose before printing. JRS Learning Enterprises is an employee development firm that excels at increasing productivity and profitability through improved communication effectiveness. Solution: Built a survey/testing feature allowing students to complete pre-class assessments online. JRS Learning manages tests, courses, and student registrations via administration pages. Customizable e-mail templates were implemented to facilitate communication between the site and students. 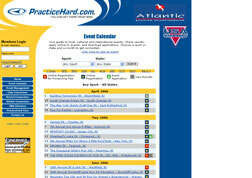 PracticeHard.com allows event administrators to post events and list their local sports clubs so athletes can view, join and register for events. Solution: Developed a site where event managers can post their sporting events. Event participants can register and pay online as well as view results. The site also includes a searchable list of member athletes, clubs and schools throughout the country. Administrative pages were developed for overall management of the site. 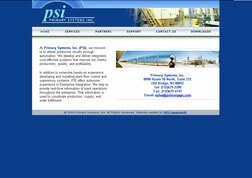 Primary Systems develops and installs factory plant floor control and supervisory systems. Solution: Conducted feasibility analysis of applying a SQL Server database to ActivPlant factory automation software.